Michael A. Cervini, Esq., J.D. It's a big city! Don't get lost in a crowd of clients! It makes a difference! Hire the Pit Bull to protect your rights! Finding the right lawyer to handle a legal issue can be the difference between a positive result and continued frustration. 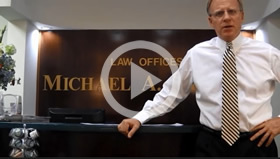 At the Law Offices of Michael A. Cervini, P.C., in Queens, I have been helping New York residents achieve their objectives for more than 30 years. I represent clients in a range of civil matters, including personal injury, accident litigation, falls, construction related injuries, police brutality, civil rights, workers' compensation, negligence, accidents, animal attacks, auto accidents, bicycle accidents, slip and fall, school bus accidents, severe burns, wrongful death, premises liability, products liability and medical malpractice. Because of our strong neighborhood roots, I also have to dedicated paralegals handing bankruptcy, immigration, and divorces. No matter what type of legal help you seek in these areas, I consider it a privilege to work on your case. In a short conversation, I will help you learn more about my firm and how I can be of service to you and your family. Knowledgeable counsel — Whether you’ve been hurt in an accident, are looking to build a new life in the United States, or face some other legal challenge, I draw on my background and experience to guide you toward a successful outcome. Highly responsive service — I am sensitive to the needs of each and every client, regardless of the size or scope of the case, which is why I answer questions promptly and completely. My firm also serves clients in six languages, including Spanish and Chinese. Proactive advocacy — In every instance, my goal is to complete your case in as little time as possible without sacrificing success. To do this, I press adversaries and authorities for fair treatment and use the latest technology to access court records and other online information. I am committed to putting you in the best possible position when your legal matter is resolved. My firm maintains cost-effective rates and offers a free initial consultation so you can evaluate your options in a relaxed setting. Personal injury — If you have suffered personal injury due to someone else’s negligence or intentional act, I vigorously seek appropriate compensation through a settlement or trial. No recovery; no fee. Police brutality — Abuse at the hands of a law enforcement officer is a serious violation of legal and professional standards. My firm represents police brutality victims who are pursuing fair payment for the consequences of officer misconduct. Immigration — Complex immigration rules make it difficult for people who seek to live and work in the United States. Whether you want to get a visa or a green card or to obtain citizenship, my firm will advise you on what to do and assist you throughout the process. Bankruptcy — When debt struggles become overwhelming, I can guide you through the bankruptcy process so that you can stop collection harassment and make a new financial start. Divorce — In divorces, I am dedicated to easing your burden and protecting your rights and those of your children. For these issues and others, I develop a sound strategy to secure the legal relief that you seek and help you move forward with confidence. Michael A. Cervini, P.C. represents New York City clients in various civil matters, including personal injury, accident litigation, falls, construction related injuries, police brutality, civil rights, workers' compensation, negligence, accidents, animal attacks, auto accidents, bicycle accidents, slip and fall, school bus accidents, severe burns, wrongful death, premises liability, products liability and medical malpractice. Please call me at 718-577-2971 or contact me online to schedule a free initial consultation at my office, located in Queens, NY.